Anchor Stone blocks (Anker Steinbaukasten) are rugged and wear naturally. Edges and points become smoother and less pronounced with time. You can keep them in new condition longer by storing them in the factory supplied container. 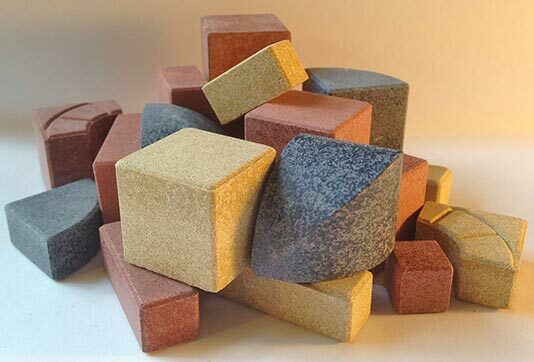 If you have an Anchor Stone building block that has cracked or broken, it can be replaced. Just send us a photo of the broken stone along with your name, mailing address and your original order number. There is no charge for replacement stones or for shipping when we can verify your order. If we cannot verify your order with euroSource LLC, there will be a $8.95 fee for the stone, shipping, and handling. In this case, please provide your telephone number with your request and we will contact you for payment.